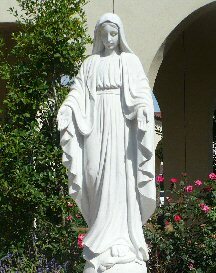 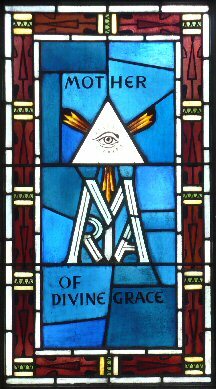 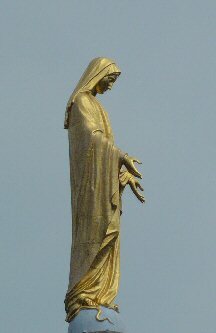 Mother of Divine Grace . 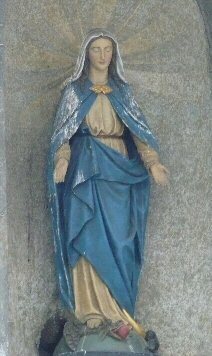 . .
As Mary gave life to God the Son clothed in human nature, so does Mary bring His life to us, the children of her Redeemer Son. 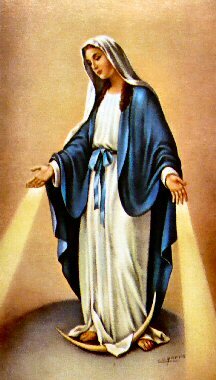 She gave her life to Him whom she nurtured for nine months in her womb. 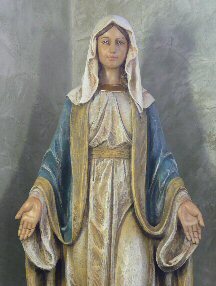 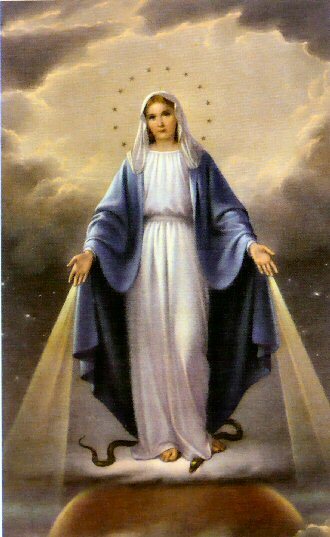 So, through her intercession, Mary, the Immaculate Mother of God, brings to us God's very life, the Holy Spirit. 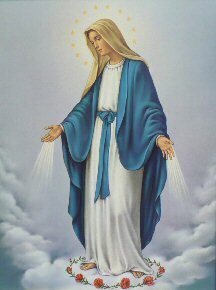 It is the Holy Spirit who nourishes us and makes us holy. 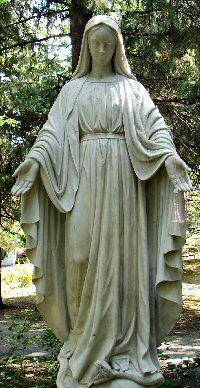 Mary leads us to grow in the life of her Son, and so we look to her as our mother and Mediatrix of Divine Grace, the very life of God.